Who takes their dog to Seaworld? “Sorry folks the park’s closed, the moose out front should have told ya”.. This is not a question I ever thought needed to be asked, but I pose it now, who takes their dog to SeaWorld? 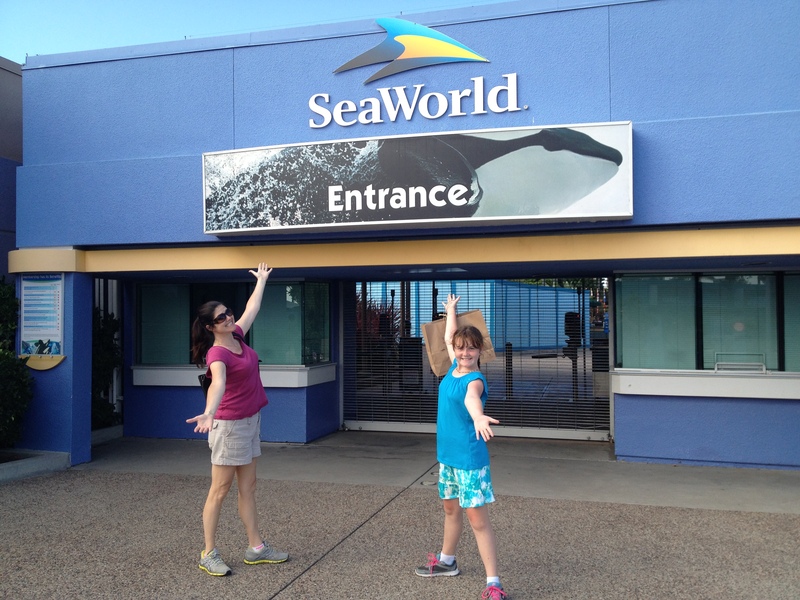 While in San Diego, we did what most families would, we went to SeaWorld. As a member of the animal welfare community (I am on the Board of a low-cost spay neuter clinic), I suffer a bit of a moral dilemma when it comes to attractions like the circus and SeaWorld, but in the end, let’s face it, those whales are super cool. But back to my original query, why would a person take their dog to SeaWorld? I saw it with my own eyes. This was not a service dog, it was a small, white fluffy creature, if I had to guess, I would go with Bichon Frisee. It had no orange vest or other visible credentials which would lead you to believe it was on the job. Frankly, it looked just as confused to be there as I was seeing it. Of course, I irrationally obsessed on the dog all day, it was at the Shark exhibit, which could not have been pleasant. I was uncomfortable around all those sharks, but the dog was even lower on the food chain than me. I saw it at the Penguin Encounter, it was still not impressed, probably because it was dark, people were almost stepping on it, and it couldn’t see the penguins over the wall. All in all, I suspect this dog did not have the great time that I was most likely promised by its owners that morning. 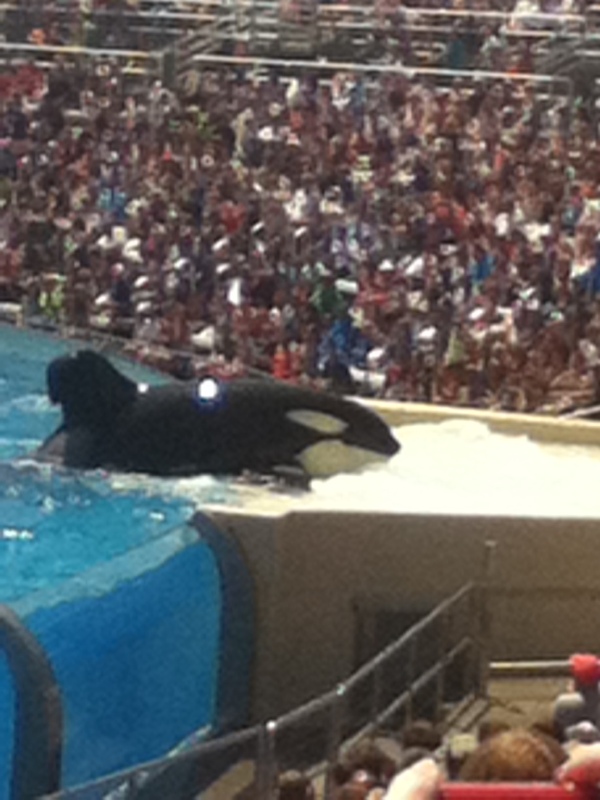 We had a few other observations about SeaWorld. First, it is apparently a must see destination for Swedish people. I don’t know why, but there were a lot of Swedes there. Attractive, fit, healthy people, I couldn’t understand a word they were saying, but they seemed nice. I wonder if it is the fish theme that draws them. Second, the sea-lion show was fantastic, it made me forget I was sitting in the unrelenting southern California sun for an hour. Third, the Blue Horizon show was strange, almost like watching a live version of a David Lynch film, it did not make me forget about the sun. I know how you feel buddy, sometimes trying to get out of the pool makes my dorsal fin flop too. Lastly, the whales were amazing. There was a young whale that swam along with two adults in the show and while I won’t kid myself into thinking they were having a great time entertaining us, they were truly awe-inspiring to see. A few years ago, one of the trainers was killed by a whale, it was a big deal here because she was originally from Sylvania. It was tragic, I heard someone on the radio questioning the propriety of training these animals, he said one thing that stuck with me, “they are not called Tickle Whales.” Point taken.